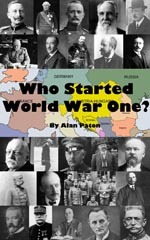 Who started WW One? » What Do You Think? Which country do you think is most responsible for starting World War One? If you have any comments about the poll (or any other aspect of the site), please let us know by means of this Contact form.